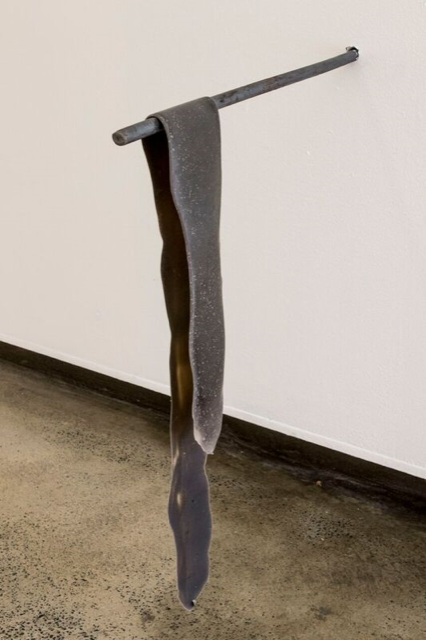 Gabrielle Bates is a Sydney-based artist and writer, who works across painting, sculpture and installation to explore intersections between place, politics and esoteric practice. 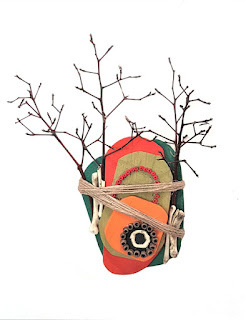 An honours graduate from Sydney College of the Arts, she also possesses an MFA (research) from UNSW Art & Design. 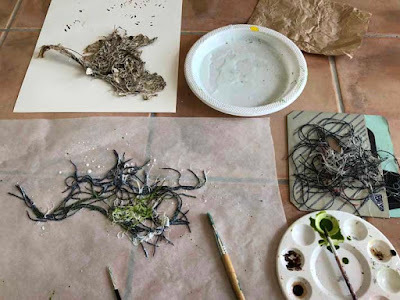 In 2007, Gabrielle undertook the prestigious Rimbun Dahan art residency in Kuala Lumpur, with subsequent placements in Penang, Manila and the Top End of Australia. 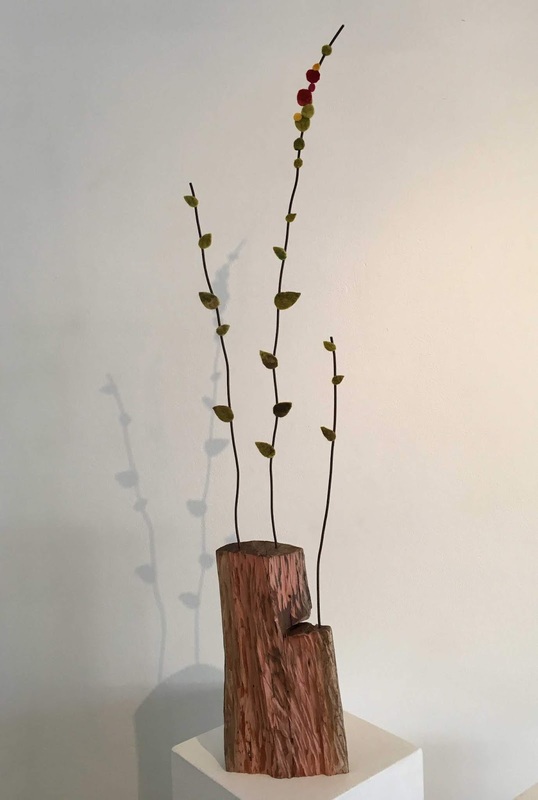 Kassandra Bossell is a multidisciplinary artist, working in sculpture and installation across gallery-based art, public art, commissions and community art. 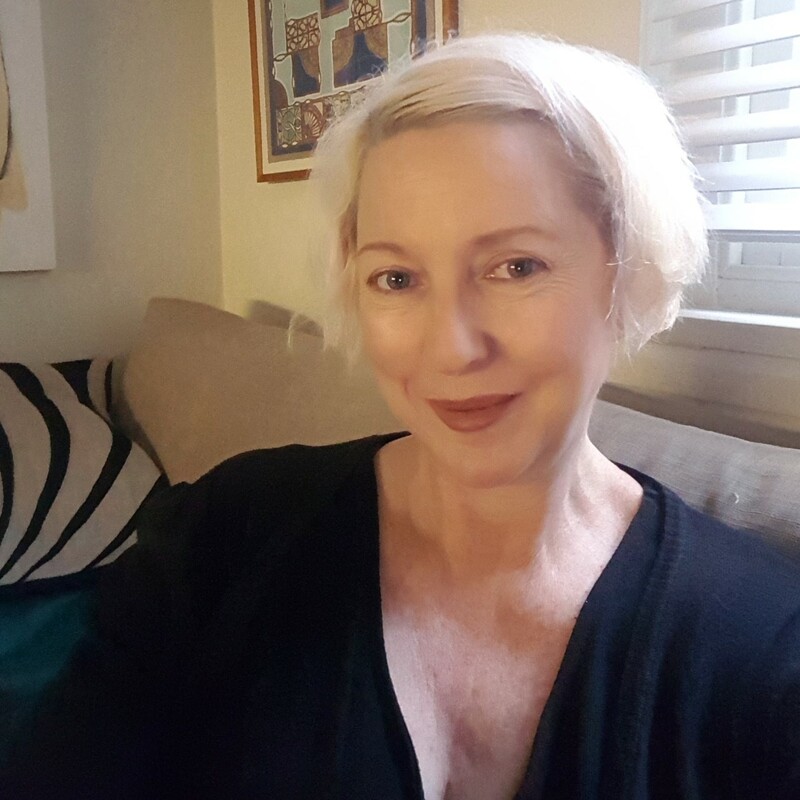 She exhibits in Australia and internationally and her artworks are held in private collections in Australia, China, New Zealand, Malaysia, Germany and US. She has completed commissions in a range of scales for diverse arts organizations. Kassana is a currently a Master of Fine Arts Research candidate at UNSW Art & Design. Her research areas include ecology, post-humanist philosophy, evolutionary biology and ecological art. Combining our interests in biological connectivity and magical ritual, we are going to use our residency at Gunyah to work collaboratively, exploring the scientific nuances, mythologies and esoteric qualities of threshold zones such as the Gunyah foreshore. These key sites of ecological flow, the intertidal and littoral zones, have always been places of natural and cultural learning. 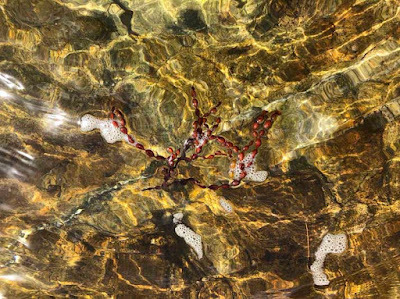 We plan to delve into the close relationships between the human and non-human, material and immaterial to navigate site-specific creative processes. Together we will document our graphic, sculptural, performative and ephemeral encounters within this liminal landscape, and our creative experimentation will be developed into a larger installation that incorporates narrative, sculpture and video elements. 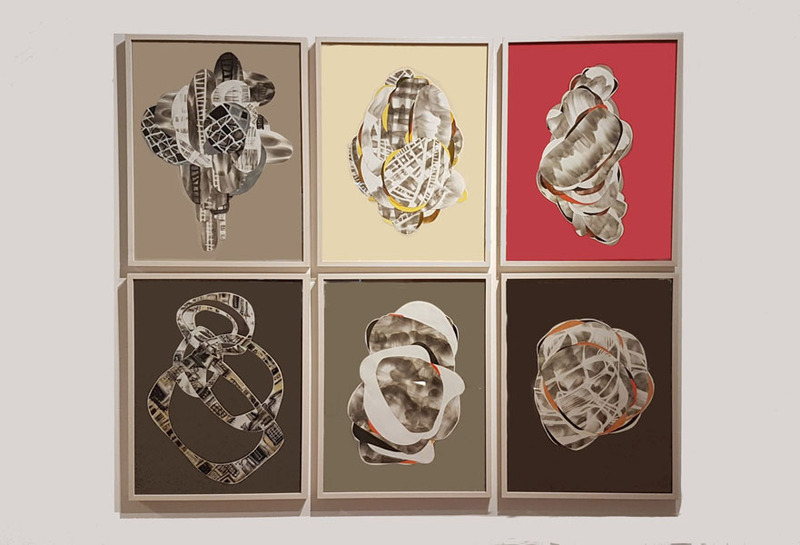 Audrey Newton is an interdisciplinary artist, based in Sydney, working in the fields of drawing, sculpture and installation. Her practice seeks to understand the agency of materials and the peculiarities of physical space and the unusual in-between spaces. The formal and furtive identities of material and space play an important role in how she dissects images from her imagination and consciousness. 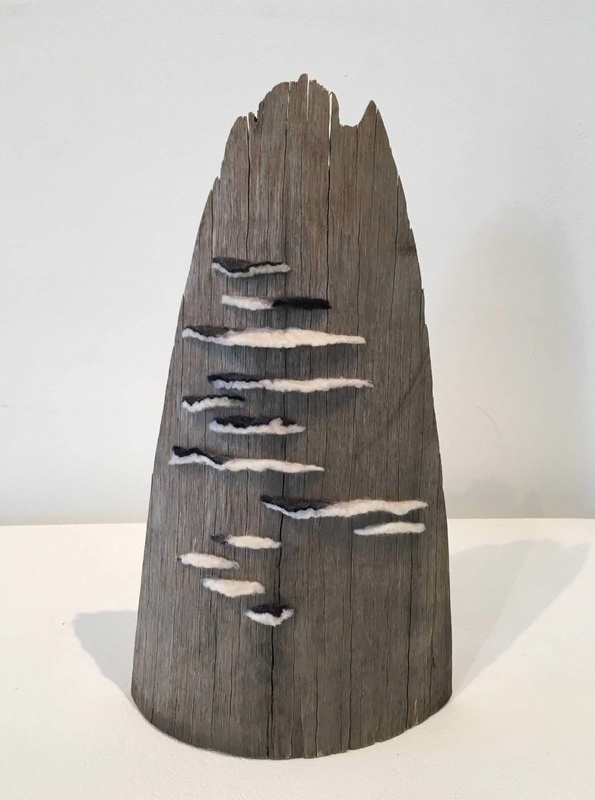 Audrey has recently completed her Master of Fine Arts at Sydney College of the Arts. 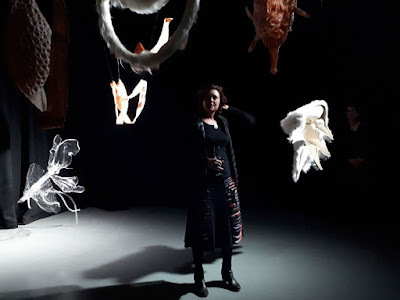 She has exhibited broadly in solo and group exhibitions at Firstdraft, Narrandera Art and Community Centre, Our Neon Foe and Articulate Project Space. In 2018, she was awarded two international residencies at Can Serrat, Spain and Factory 49 in France. 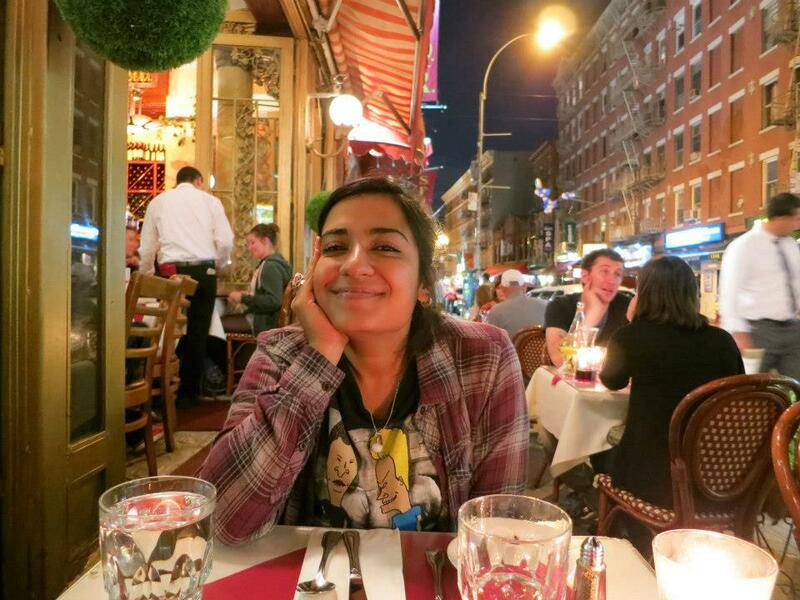 In 2017, she received the Herbert Johnson Grant for a research trip to the United States of America. 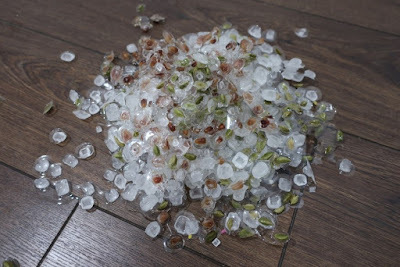 For this residency, I will be developing part of a large-scale project titled, Jewels. This work reflects on the material topography of my place of birth, Pakistan. I will use my time to create a repetition of small resin sculptures which will be preserving treats and medicinal spices that I consumed as comfort foods during my family’s transition from Pakistan to Australia. These treats include cardamom pods, sugar cubes, sugar-coated fennel seeds and pomegranates. 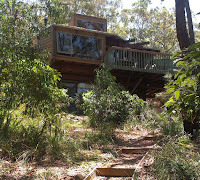 A quiet residency such as Gunyah will provide me with peace of mind to complete a large part of this enduring task. Thank you to everyone who applied for the 2019 Gunyah residencies. The Gunyah provided an opportunity to concentrate on my art practice without the distractions of home. At the same time it has offered rest and relaxation that is so important to the creative process. We found nooks in the various spaces to create work spaces. 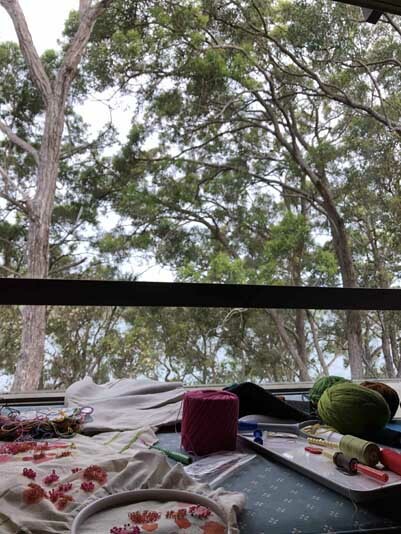 I set up in the downstairs studio in front of the large window which was cool, had great light and plenty of opportunity to be mesmerized by that stunning bush meets cove view. My partner Brian set up his computer upstairs near the window seat looking out through the tree tops. The deck and the jetty became cherished spaces for social time and reflection. 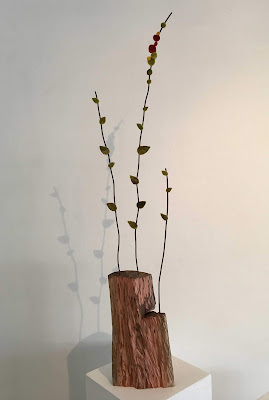 My interest is working with forest ecosystems – through practical and science-based conservation of a rainforest on my property and in the speculative and abstract realms creating fictional botanical artworks. We currently live in a forest environment so it was rewarding to spend time observing the vegetation mix of the coastal ecosystem of North Arm Cove. But not unsurprisingly it was that key point of difference, the waterline, that was the most inspiring. The edges reveal such biodiversity. 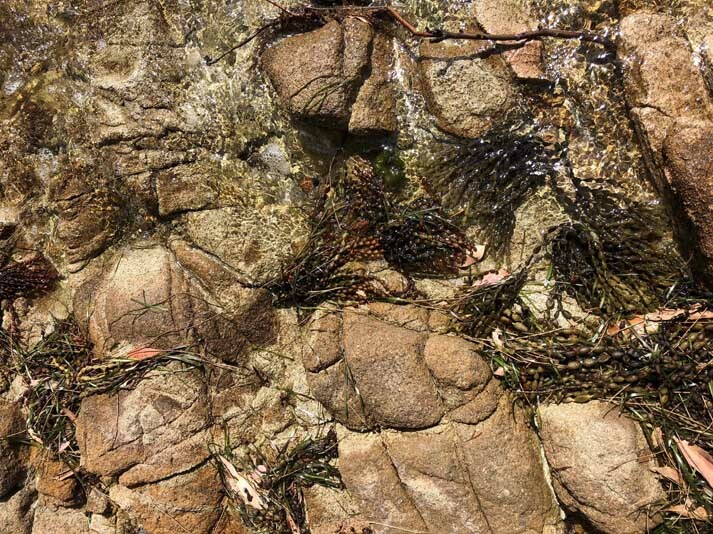 Neptune’s necklace, seagrapes, bubbleweed – poetic names for the beautiful treasures we discovered along the shore. 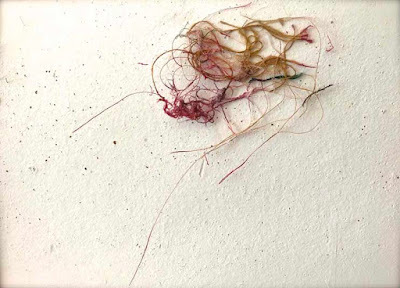 Sargassum species with gas-filled bladders for buoyancy. And many more yet to be named and researched. The water/land interface is a place where things mix and get mixed up. A place where nature felts. 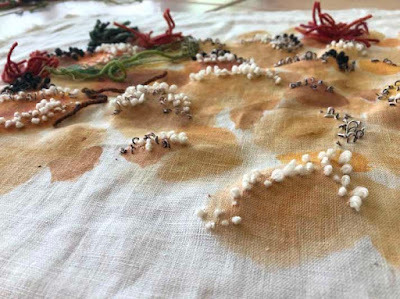 The shoreline vegetation-felt provided the impetus to experiment with new felting techniques using fabulous finds of threads and textiles in the op shops of Tea Gardens. It also provided a different set of visual forms to experiment with. In the lead up to this residency I had been working on drawings towards an exhibition next year. The opportunity to have dedicated time to experiment with new techniques, materials and visual forms is invaluable and will feed into that exhibition. I should also mention the pleasure of rummaging around in the library – a gleaner’s paradise! Thank you Kath and the Gunyah. Jane Polkinghorne and Sarah Newall are partners in life but not in art. From 2013-2016 they co-directed artist-space Marrickville Garage. Sarah Newall has worked over the past few years to make her practice and life sustainable and works towards zero-waste principles. 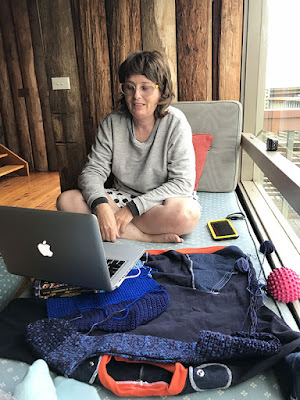 She considers herself a maker and through fine-tuning her craft skills is working towards wearing clothes, shoes and accessories she has made herself using donated or second-hand materials wherever possible. Jane Polkinghorne’s practice often uses humour to reflect on gender representation and contemporary Australian culture. She primarily uses herself in video and photographic to avoid humiliating other people and also because she thinks she’s a superstar. 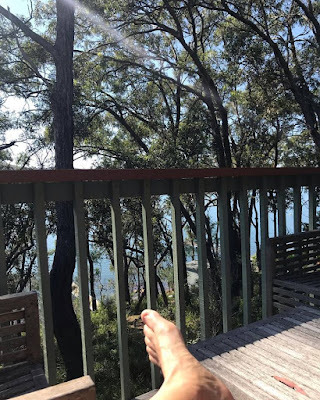 Jane is currently attempting to shift the focus of her practice to reflect her ‘natural’ interests – walking, swimming in the bush and the ocean. After two ½ years fostering a teenage boy we were very excited to get an extended break from the trails and tribulations (and occasional reward!) 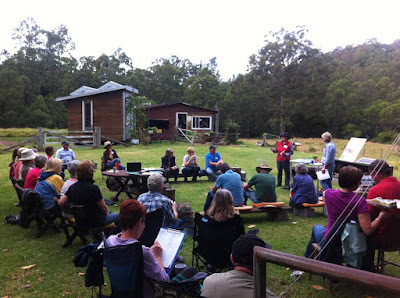 of caring through a stay at Gunyah artists-in-residence program. We arrived at Gunyah on wet and wild Monday afternoon. This suited us perfectly and we bunkered down in the window seat overlooking the trees and for the first week, barely moving from the house. 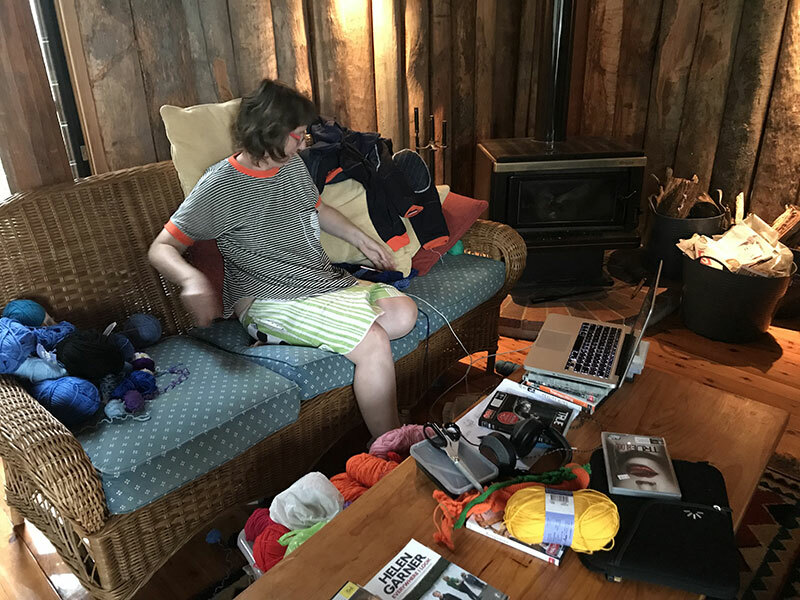 Sarah pulled her crafty materials out and distributed them all over the living room, focussing particularly on creating a nest-like structure on the couch. Sitting in her nest Sarah spent much of the time crocheting, pulling it apart and re-crocheting. The occasions she moved were spent gathering new stock at the local op shops in Tea Gardens and the Nelson Bay area, which proved to be hold quite a bonanza when it comes to yarn. 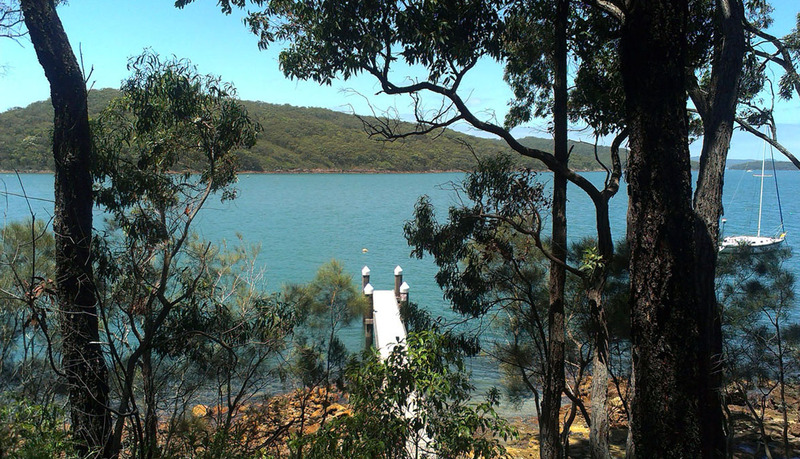 Through the first wet week Jane wandered the bush land around North Cove Arm, experiencing the gorgeous forest, bird life and mosquitoes. 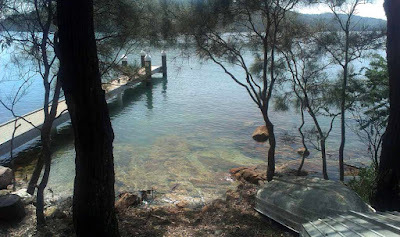 Once the wind stopped rushing in from either the north-east or the south Jane spent considerable time in the ocean and bush around Hawkes Nest. 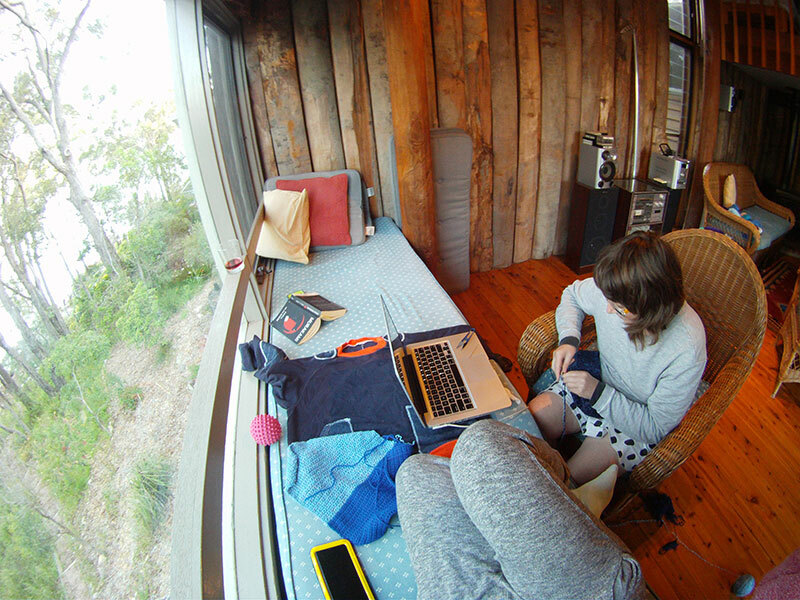 In that first week the window seat became Jane’s studio and day bed. With the wind whipping through the trees and squalls of rain-washing through North Arm Cove Jane found herself lifting her eyes from her book to watch the trees lashing around. Over the 10 days she shot 38 short videos through the window on an ‘action’ camera. The fisheye lens of the tiny camera created video suggesting a vortex or aerial whirlpool in the trees outside the house. These videos are being composited together for a potential immersive ‘tree’ show. 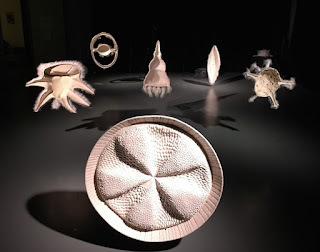 'Ephemeral Traces' exhibition 2016, UQ Art Museum, Brisbane. Jane Richens is a visual artist who creates sculptural works of ‘Botanical Fictions’ – visual responses to forest ecosystems – plant forms made from felt, wire and timber. Working from her rainforested studio and home in Tabbil Forest, at the foothills of the Barrington Tops Wilderness Area, Jane is also involved in conserving the forest's biodiversity and is the chair of the Paterson Allyn Williams Science Hub, which organises science based community engagement programs. 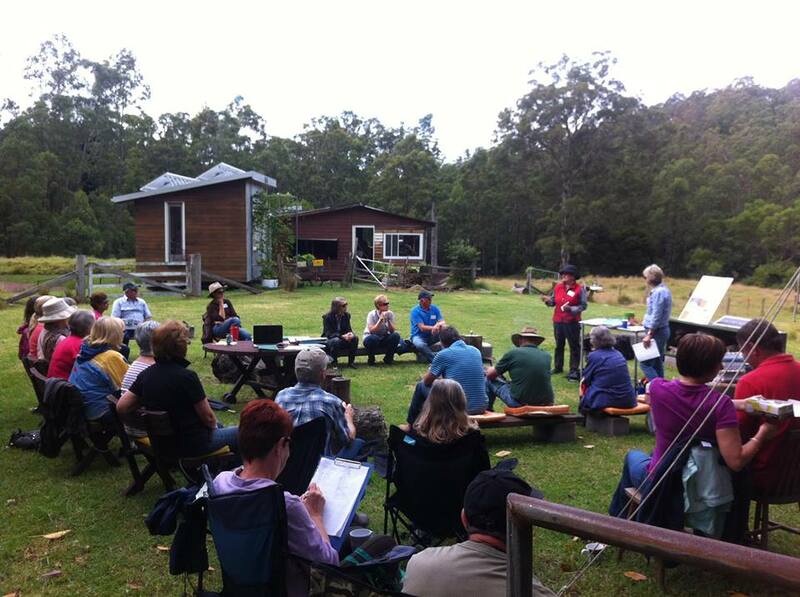 Jane Richens speaking to a local gardening group visiting her Tabbil Forest rainforest home. 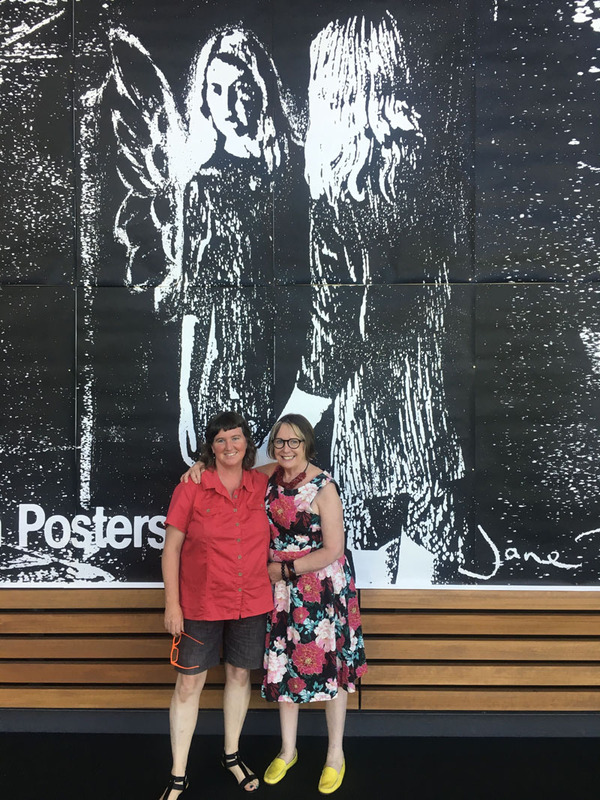 Originally from Queensland, Jane was very active in the 1980s Brisbane artist-run scene and arts advocacy movements. 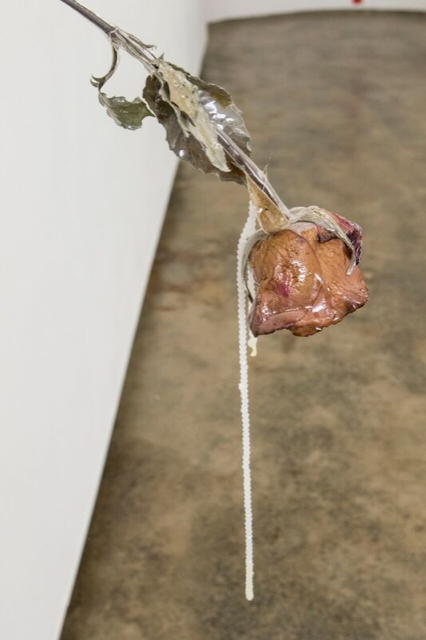 This was recognised by her representation in a major 2016 historical exhibition at the University of Queensland Art Museum ‘Ephemeral traces: Brisbane's artist-run scene in the 1980s’. Jane's early work was print based, portraits in domestic and urban environments using photography and photocopy technologies that were reworked with drawings and painting then recopied with some ending up at billboard size. 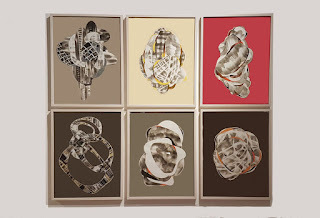 Jane has studied at Queensland College of Arts and the Power Institute of Fine Arts University of Sydney. She has exhibited in That Contemporary Art Space Brisbane; First Draft Sydney; Dungog by Design; Back to Back Gallery Newcastle; Milburn + Arte Brisbane; Ivan Dougherty Gallery Sydney; Artspace at Pier4/5 Wharf Sydney; Institute of Modern Art Brisbane, and UQ Art Museum Brisbane. 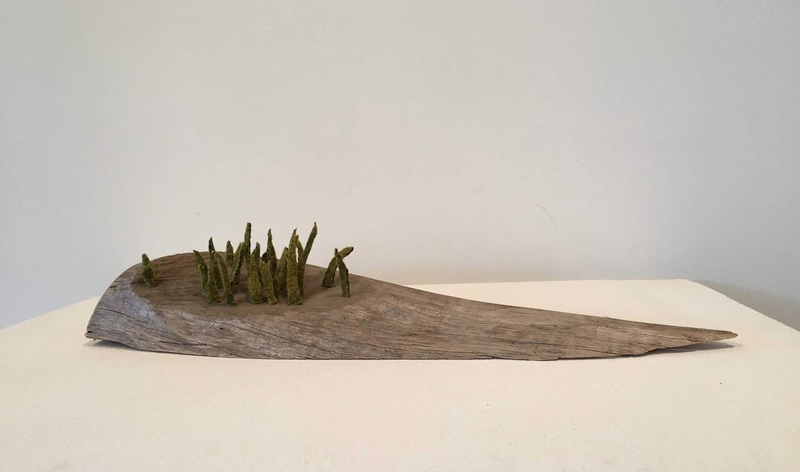 During her residency at Gunyah, Jane plans to research and observe the natural environment of the area and to create visual responses for an installation of sculptural works. 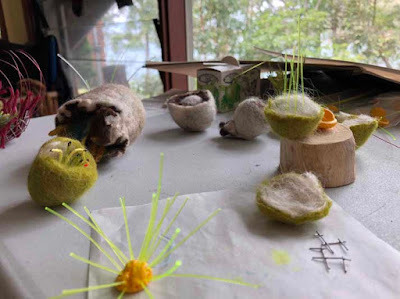 This will become a development of her current ‘Botanical Fictions’ which are abstracted sculptural responses to life forms in the forest ecosystem using mostly hand made felt, wire and timber. She will also collect field recordings - such as photographs, sound recordings, drawings - particularly of the vegetation in the environment as a preliminary studies to develop future sculptural and installation works. Applications for the 2019 Gunyah artists-in-residence program are now open! Please apply via this online application form and read the ABOUT page before applying. collaborative, family and group residencies. 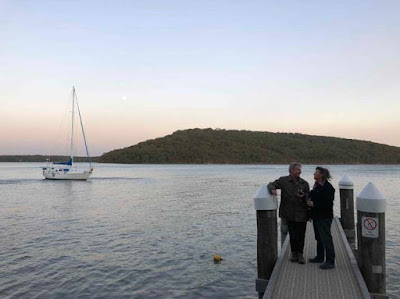 Please note each residency at Gunyah costs $360 for eleven days or part thereof (this residency fee covers the use of the whole property, it does not apply per person). There is also a refundable $50 key deposit required.